Vehicle Presentation - Introducing The Freightliner FLD 120! American Wilds is a new DLC coming to MudRunner Fall, 2018! This large DLC will introduce brand new content to the game, including several new vehicles, two new maps and a whole new location - The United States of America! Today, we're very excited to be talking to you about the Freightliner FLD 120 1988! A mighty vehicle, and utilitarian road-hauler, the Freightliner FLD 120 1988 is one of the fastest trucks in MudRunner, able to get your loads where they need to be at a brisk pace. While it is able to take 600 points of damage, and boasts a might 330L fuel tank, the FLD 120 isn't at t's best off-road. You'll be using this vehicle to master road hauling, and to take loads great distances on the asphalt. 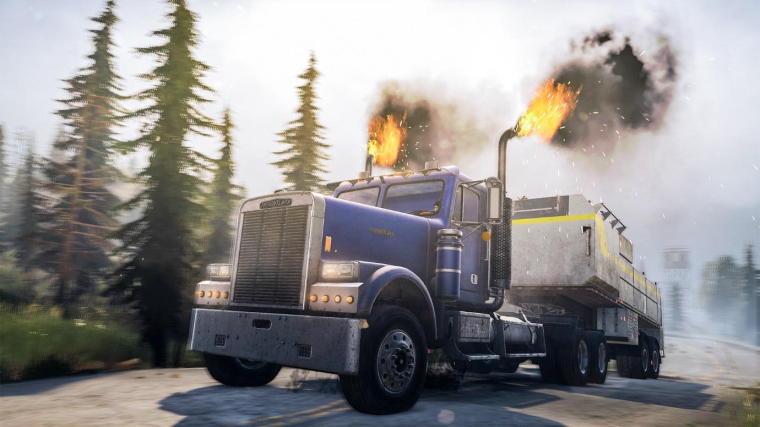 The Freightliner is one of the vehicles locked behind balance points, so you'll need to master maps before you'll be able to drive it. Not having any AWD, the Freightliner isn't suitable for off-roading. Perfect! Great addons package - all logs types, flatbed! BTW loved the semitrailer on this pic. Is it legit? 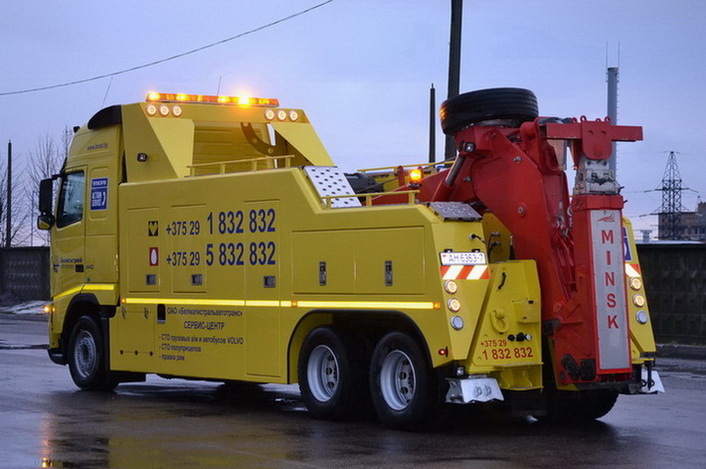 Utility construction on chassis - legit, its simply Recovery truck. Did you at least make mirrors for work? Can't wait to get this truck stuck, haha. @Iyagovos if you push the release date a few weeks you'd have plenty of time for all the vehicle presentations.